Reading Transport Fleet List: The first three of the new batch of E400Hs have arrived at Great Knollys Street this week. They are 210-12 registered SN11 BVR/S/T and wear a new 'claret' base livery which will be branded for the 20/20A/21 replacing the burgundy livery of 811-7. Two more are expected next week with SN11 BVO/P having been noted at the Leyland staging post ready for delivery. 207-18 are expected by the end of July, 207 in Yellow 26 livery, 208-9 in generic silver and 210-18 in claret. 219-31 will follow in August and September for the 17, however until they arrive 208/9 and three of the claret examples (until the start of the University term) will be allocated to the 17 to allow 1101-14 to go away for repaint into pink Caversham and generic silver liveries. Many of the displaced OmniDekkas have been sold to Go South Coast. Stagecoach in Warwickshire Fleet List: Leamington 16484 has been withdrawn for disposal. 33397 is a new transfer to Leamington from Stagecoach East (Bedford) whilst 16677, 16680 and 33322 which arrived in Leamington from Bedford 27th are in reserve. Leamington 20224 and 20809 also remain officially in reserve. Weavaway Travel Fleet List: One of the three Enviro200s has returned from repaint in black Newbury & District livery. Thanks to Ken MacKenzie for this. Horseman Coaches Fleet List: New is Volvo B7R / Plaxton YN11 HXC. Thanks to Ken MacKenzie for this. Weavaway Travel Fleet List: The three new Enviro200s were due to go away for repainting this week. Thanks to Ken MacKenzie for this. Stagecoach in Warwickshire Fleet List: 16020 has transferred from Northampton to Rugby to cover an additional short term school contract until July. Thanks to Keith Wood for this. 16458 apparently transferred from East Midlands to Rugby in April, so but has yet to be noted. Burghfield Mini Coaches Fleet List: S431 MKV was offered for sale during May. Following the loss of Hampshire County Council contracts S94 SWJ, S757 LCY, S928 KWN, W551 UFH, X767 FOW, Y67/106 JMV and Y989 OGY are also for sale. Thanks to Bus Fare magazine for this. Courtney Coaches Fleet List: Wright Streetlite MX60 GXE has returned to the dealer after a period on demonstration. Thanks to Gary Baxter for this. Horseman Coaches Fleet List: Five new Mercedes-Benz 0816D / Plaxton Cheetahs are on order. The first two have been delivered, but none are expected to be registered or enter service until September. Reading & Wokingham Coaches Fleet List: X7 FFC was reregistered X815 MGM in April and sold to Evobus (dealer), whilst YN03 AXB became X7 FFC. Thanks to Bus Fare magazine for this. Stewarts of Mortimer Fleet List: The new Mercedes-Benz 516CDI / EVM arrived in May registered RE11 HGJ. Thanks to Bus Fare magazine for this. Weavaway Travel Fleet List: The three recently delivered Enviro200s replaces the order for two Optare Solo SRs which has been cancelled. Thanks to Bus Fare magazine for this. Oxford Bus Company Fleet List: 315/6/7 were in service yesterday, leaving just 313/4 to be confirmed. Thanks to Ralph Adams for this. Courtney Coaches Fleet List: A new addition from Anglian Bus is Wright Streetlite MX60 GXE. Thanks to David G for this. 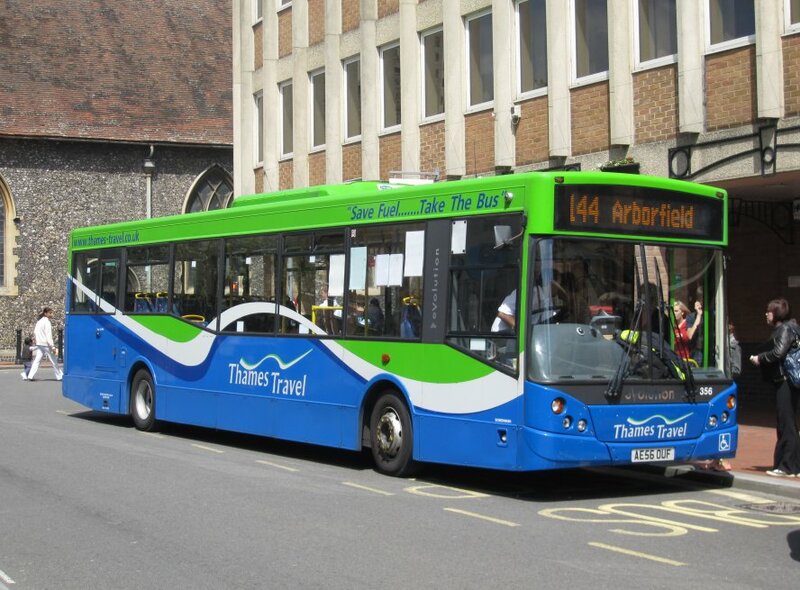 Thames Travel Fleet List: 506, 606 and 156 departed approximately 6 months ago, whilst Dennis Trident R9 OXF has arrived in base livery from Oxford Bus Company. Thanks to Dale Scutter for this. Stagecoach in Warwickshire Fleet List: Dennis Tridents 18409/10 have arrived at Leamington from Northampton. Withdrawn Leamington 20224 has returned to service. Thanks to Keith Wood for this. 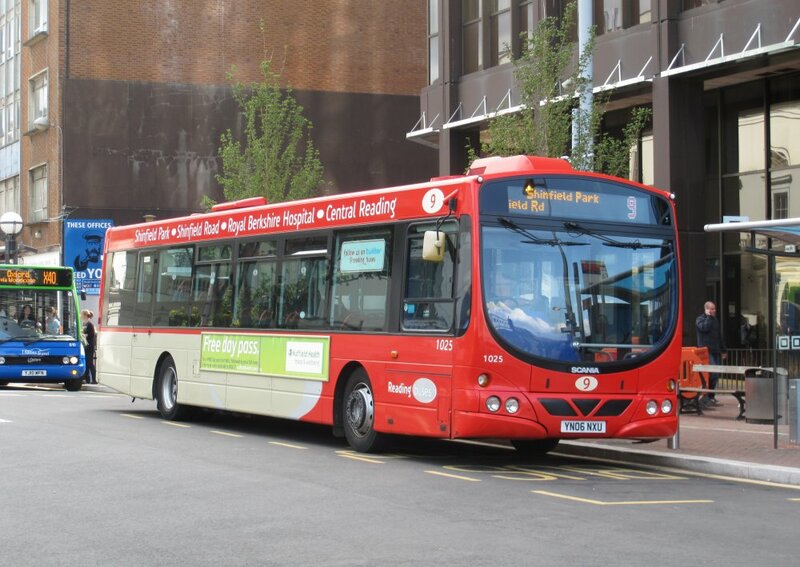 Reading Transport Fleet List: Surplus 1017-9 and two others (possibly 1015/6) have been advertised for sale. Oxford Bus Company Fleet List: 310 was in service by 26th May. Thanks to Graham Low for this. 317 has also been delivered and 902/3/8/9 have been advertised for sale. 811/2 lost their City 5 branding on arrival of the Scanias some time ago. 812 has now transferred to Go North East and 792/7 to Brighton & Hove. Stagecoach in Warwickshire Fleet List: Warwickshire County Council 28501 has been withdrawn and passed to Central Buses by 31st May. Thanks to Darren Young for this. 28502-5 have also been withdrawn. Thanks to Keith Wood for this. Further additions for Megabus are 53011 and 53028 from Manchester. Withdrawn Stratford 20220 and rugby 31048 have been sold to Wigley, Carlton (dealer) and are awaiting collection. Leamington reserve 33351 has transferred to Nuneaton.